Facebook reveals the reports of government data request of last six months and this time Facebook said Turkey and India have dramatically increased their requests to either block certain content or to gain access to users’ accounts. According to the latest Global Government Request report, Facebook got 35,051 requests from all over the world in last Six months of 2014. On this Facebook mention that the amount of the content blocking due of policy violation had been increased from 8,774 to 9,707 in six months. Earlier in 2014 Facebook had received 34,946 request which has been increased this time. 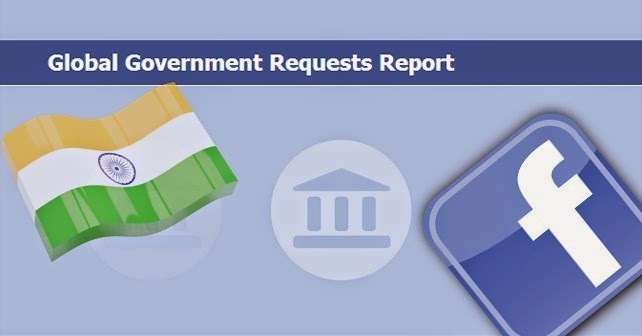 India is in the top of the list to made a request with 5,473 times, earlier was 4,559 in the first half of 2014. Moreover, Facebook had blocked 5,832 pieces of content in India, up from 4,960 over the first six months of 2014. Second is Turkey, which had submitted 165 requests for users account information. Facebook had blocked or removed several content primarily reported by the Turkish courts (and Access Providers Union) and Telecommunications Authority under local law 5651, said Facebook . There is a drop in the request from United State but Facebook says that it resists such request from authorities. Facebook still dropping the request for user account information made by the US governments. Moving forward, we will continue to scrutinize each government request and push back when we find deficiencies. We will also continue to push governments around the world to reform their surveillance practices in a way that maintains the safety and security of their people while ensuring their rights and freedoms are protected. - Facebook says in the blog post.